The idea of one's memory "filling up" is a humorous misconception of how memory in general is thought to work; it is actually has no capacity limit. However, the idea of a "full brain" makes more sense with reference to working memory, which is the limited amount of information a person can hold temporarily in an especially accessible form for use in the completion of almost any challenging cognitive task. 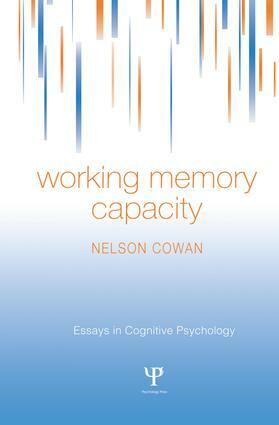 This groundbreaking book explains the evidence supporting Cowan's theoretical proposal about working memory capacity, and compares it to competing perspectives. Cognitive psychologists profoundly disagree on how working memory is limited: whether by the number of units that can be retained (and, if so, what kind of units and how many? ), the types of interfering material, the time that has elapsed, some combination of these mechanisms, or none of them. The book assesses these hypotheses and examines explanations of why capacity limits occur, including vivid biological, cognitive, and evolutionary accounts. The book concludes with a discussion of the practical importance of capacity limits in daily life. Incorporating the latest from the recent surge in research into working memory capacity limits and the remarkable new insights provided by neuroimaging techniques, this book serves as an invaluable resource for all memory researchers and is accessible to a wide range of readers.